MACHEL MONDAY. MACHELEMENTS is a three part concert, Earth Wind & Fire showcasing the elements of carnival featuring some of the biggest International stars with the best of the Caribbean and Trinidad & Tobago. International Superstar PITBULL will showcase new music ... 'DON'T STOP THE PARTY'! Son of the soil, TRINIDAD JAMES, the fastest rising star on Billboard performing in Trinidad for the first time on MACHEL MONDAY, 'All Gold Everything'! Even expect to see Jamaican Superstar Shaggy. Other musical elements of Trinidad & Tobago include Issac Blackman, Freetown Collective, Imij and Co, Drupatee, KI, Denise Belfon, Kerwin Du Bois, Ravi B, Neval Chatelal, Farmer Nappy and Patrice Roberts. "Psst ... hear this secret. 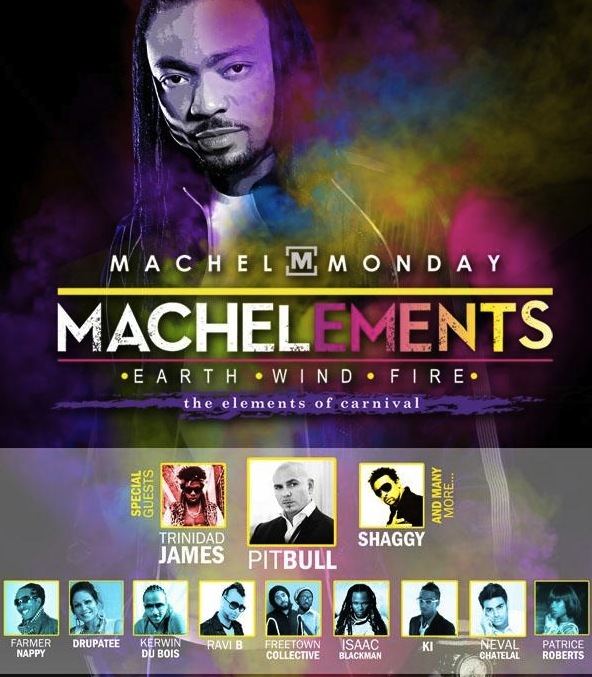 Guess WHO streaming Machel Monday TONIGHT? 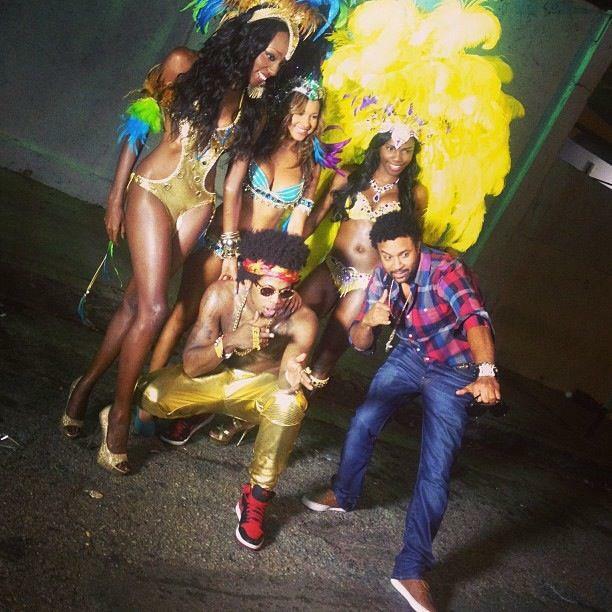 Doh tell plenty ppl, ok ;)"
In the meantime, Trinidad James with Shaggy on set for his latest music video shot in Trinidad!